We care for you because you care for our patients, we will assist you with developing the required skills for the role especially around people management and the ‘art’ of mentoring and coaching in practice. All the skills required to advance in your ‘management’ career will be reviewed with you as part of a bespoke development package. We are fortunate to be partnered with the Virginia Mason institute in Seattle our Transforming Care Institute has a variety of training modules that you would be able to attend to enhance your leadership skills. 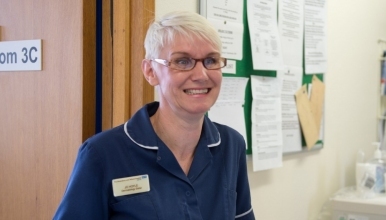 We are looking to recruit an experienced, motivated and enthusiastic charge nurses/Sister for the Outpatient Department at The Princess Royal Hospital, Telford. You will have current or recent experience of working in an acute care setting with a minimum of 5 years post registration experience. You will have proven organisational skills with evidence of taking frequent charge of the department/ward. You will have demonstrated leadership skills, be an excellent communicator with the ability to work with all members of the multidisciplinary team. You will be flexible in your approach to the role and respond appropriately to the demands of an ever changing workload. You will support the department Manager in the management and leadership of the department being committed to providing and maintaining high standards of patient care.